FPSC Jobs 2018 is announced on 2 September 2018. 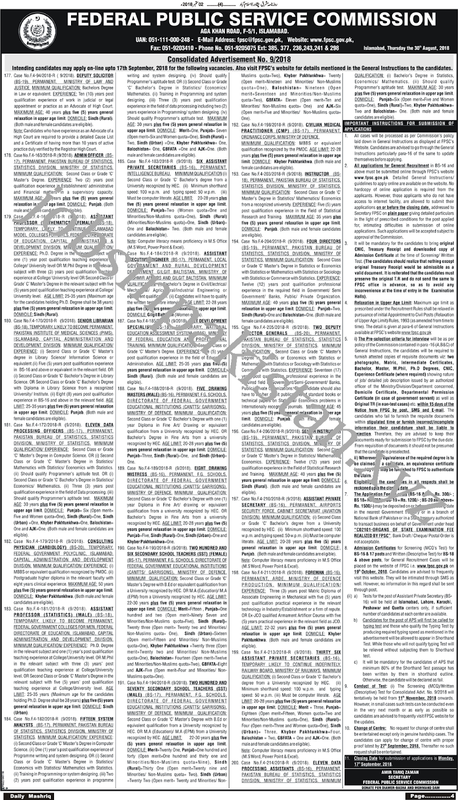 The advertisement for FPSC Jobs 2018 is come on today newspaper Roznama Mushriq Peshawar. FPSC announce a 600+ Jobs in all over the Pakistan. FPSC (Federal Public Service Commission of Pakistan) is one of the best Public Service Commission in Pakistan.